After falling in love with the stage at a young age, Bridget, who was born and raised in the Chicago suburbs, began performing at the age of 8. 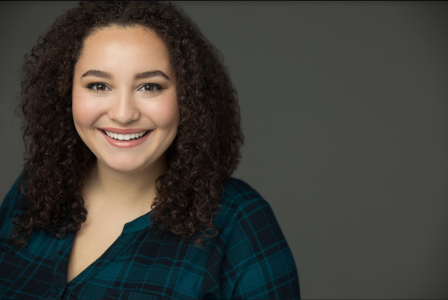 Recently, she was seen in the highly successful Haymarket (Underscore Theatre) as the lead role of Lucy Parsons. She received praise from critics, and the show was extended twice! 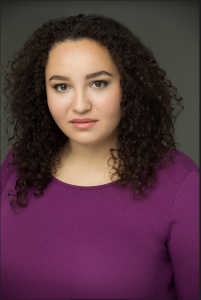 She has worked as an Understudy in the Jeff nominated Machinal (Greenhouse Theatre) and as Lucas in Strangest Things: The Musical (Random Acts). Bridget also spent time in Lindsay Mendez and Ryan Scott Oliver’s Actor Therapy Intensive where she was able to expand her network and skills. In September, Bridget was named on of Chicago’s Hot New Faces by Chris Jones of the Chicago Tribune. Bridget will graduate in 2019 with a duel degree in Musical Theatre and Theatre Performance from North Central College. Bridget is hopeful and determined to continue to seize opportunities with the help of Gray Talent Group.